Wish you happy Diwali with Exclusive Diwali gifts. We have presenting to you the premium collection of Diwali Gifts Hampers for make surprised to your love ones, family, friends, relatives, colleagues and clients on auspicious occasion of Diwali. Awesome and unique Diwali gifts will makes your dear and near ones happy and feels special on Festival of Light. 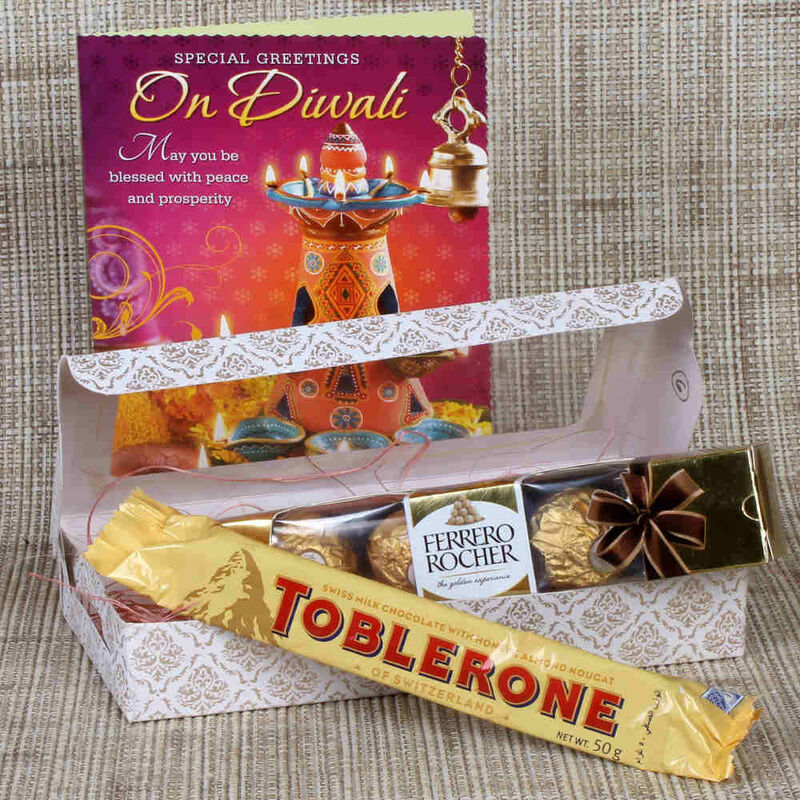 4 Pieces Ferrero Rocher Chocolate Box, one Bar of Toblerone Chocolate (Weight : 50 Gms) in a Gift Box along with Diwali Greeting Card.